There are countless web programmers out there, spending a lot of their time developing websites that cope with the demands of internet users. It’s no joke creating a website. There are a lot of things to consider: layout design, content, compatibility with various browsers, and security issues to name a few, and it often takes more than a week to develop a good-to-launch simplistic website. After tiresome coding and successful deployment, the next thing the website’s owner has to think of is: How do people find my website? There are various ways to let people know about your website. Use the advertising module provided in most social media sites, like Facebook. This method of advertisement requires payment, but if the web developer is confident that his work would benefit people who are active in the internet, then the investment is worth it. Another method is to tell friends about it. Tendency is that those friends will tell others about it, and if those who browse the website find it useful and convenient, then advertising will just continue along the flow of people. 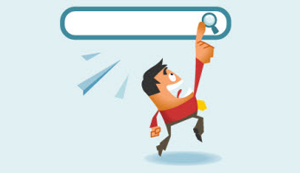 One more way is to make use of search engines. If the website is informative in nature, then it is ideal to insert keywords in the content of the website so that it has a higher chance of being at the top of search results. That way, the website is being advertised by the search engine. Actually, the key idea to making a website more open in the internet is proving that it is useful to people. The more useful it is, the more it will shine out in the web. Look at Facebook. Many internet users have the need to post their day-to-day status and save memorable pictures and videos, all in a personal account. People found the website quite quickly because of its use. Purpose speaks loud for a website in the internet. Make a website that meets the demands of people, then let a few people know about it by word of mouth or by a bit of advertising. Gradually, more people will know about it, up to the point that advertising will no longer be necessary. Are there other ways to make a website known to people? During the early phase of making a website public, it’s really hard to make a considerable number of people know about it, especially if the developer is under financial constraints. Chances are he will have to depend on word of mouth. No need to worry, just always remember: The purpose of your website will speak for itself. If this is not convincing enough, then there’s the option of advertising, which demands investment. But even with advertisement, if the website serves no other purpose but to inform, it’s better off finding a spot in the search engine results. If the website is still in the dark in the search engine world, then maybe it would be a good idea to develop a better website. Make it a key point that purpose of the website should be the main objective in development, so that people would find your website much faster.